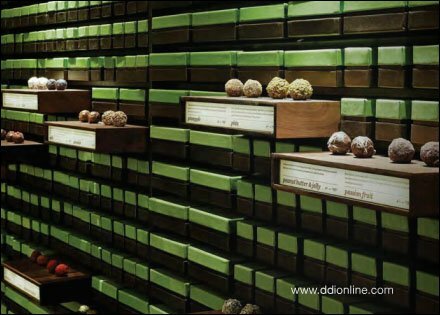 Not only are luxury Chocolates a niche market, but here they are actually marketed in a style reminiscent of my Eyewear Niche thread here on FixturesCloseUp. CLICK the thumbnail for an alternate room-size view. 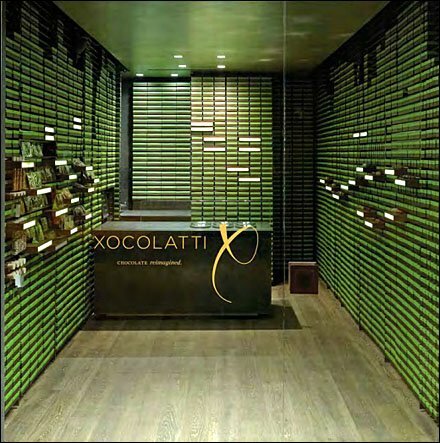 Read about Xocolatti store branding and design at “Box of Chocolates” in Display and Design Ideas June 2012 issue.